Don't miss our event in Amsterdam!. There are only a few seats left. .yHow to reach zero hunger in fragile states. 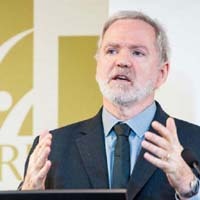 Connell Foley, Director of Strategy, Advocacy and Learning, Concern Worldwide, expalains the challenges of reaching zero hunger in fragile states. Interview conducted by Fraser Patterson, Welthungerhilfe. 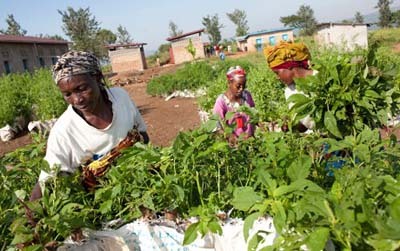 Concern Worlwide collaborate s significantly on Food and Nutrition Security issues and is part of a network of seven European NGOs called Alliance2015. 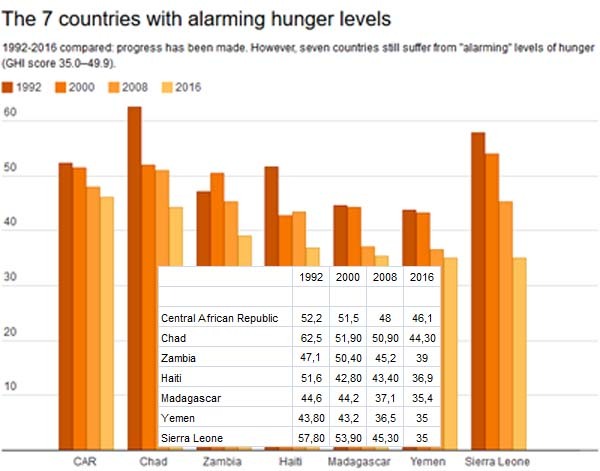 The United Nations Sustainable Development Goals aim to reach Zero Hunger in all countries by 2030, yet the results of the Global Hunger Index 2016 show that for some countries there is a long road ahead. Considering the current situation of hunger in the world, do you think it is possible to reach Zero Hunger in the next 14 years? 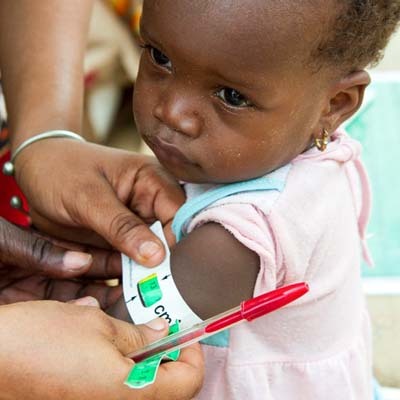 If we are talking about getting the level of undernutrition close to zero, then yes, I think that we can do it. If one starts to get technical around definitions of hunger, for example, if we focus on micronutrient deficiency within high calorie diets, then it is not so easy because unhealthy diets are becoming the norm with the urban poor globally. So I think that we should focus on undernourishment and certain key nutrient and micronutrient deficiencies in the next ten or fifteen years and recognise that beyond that we will be dealing with a different set of hunger-related challenges. What we need to ensure is that everyone in the world has equal access to the right foods while recognising that people living in poverty, wherever in the world, will always be susceptible to poor nutrition. Do you think it is important to create such goals? What are the benefits? Absolutely. We need goals and targets. We need facts and figures to get everyone on the same page and understand exactly what we want to achieve collectively. Everyone understands scoring. Every week in the football season, players, managers and supporters of a club look at their position and calculate how much they have to improve to reach their target position and then they make changes to try to do this. If we apply this to hunger, then of course, this is how we should be using these goals and targets. The Global Hunger Index and the Global Nutrition Reports are reflections of this intent. The 2015 Global Hunger Index (GHI) highlighted a strong link between conflict and high levels of hunger. Can you give some examples of particular challenges that exist in fragile states with regards to fighting hunger? The most extreme example at the moment is Syria where the populations of cities like Aleppo are cut off from essential supplies because parties to the conflict bomb and disrupt provision of all materials to parts of the city that come under the control of their perceived enemies. 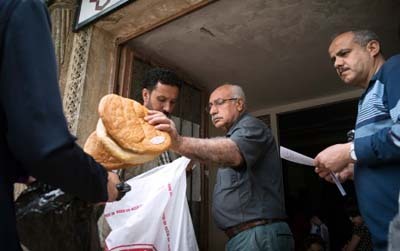 Conflict disrupts key infrastructure required for the safe delivery of food such as roads, granaries even down to bakeries in localised fighting. 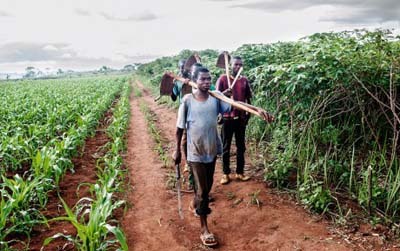 It has long been established that food has been used as an instrument of war; the denial of access to food creates lack of support in populations for the conflict to continue and demoralises them. These are the more direct effects. 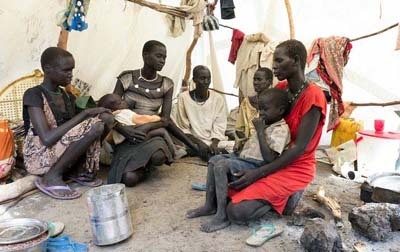 What Concern has seen in other places such as in South Sudan is that there are also multiple indirect effects which reduce food security, insidiously affecting the poorest most. These include high inflation rates and high food prices, increased difficulty to get remittances from those who have migrated, negotiating roadblocks, the demand from the army for people to feed their troops or else military theft of food from local people. The SDGs speak of leaving no one behind, which is also the title of Concerns Worldwide Strategy. Often those left behind are found in fragile states. What approaches are Concern applying particularly in fragile states to reach the most vulnerable? Well, if we characterise fragile states as those beset by a wide range of factors such as protracted or repeated conflict, weak or authoritarian governance, environmental fragility, poor infrastructure and weak state capacity, then we are faced with multiple difficult challenges. We are talking about countries like Mali, Burkina Faso, Niger, Chad, Republic of Sudan, South Sudan, Eritrea, Democratic Republic of Congo, Afghanistan, Pakistan and Haiti. Indeed, Yemen, Syria, Central African Republic and Somalia are probably at the end of the spectrum closest to failed states. In bad years of drought, flooding or conflict, we have to provide humanitarian assistance to keep people alive. Stronger states can do this themselves but these are the contexts where even quite localised crises require support or intervention by international actors, NGOs like Welthungerhilfe and Concern. In the years where emergencies do not occur, then we try to do effective long-term development work. This includes trying to build government capacity to deliver health, education or other social services, trying to build the very weak capacities of local institutions. Concern has also focused on building what we call community resilience, strengthening self-help groups, helping poor people to analyse the big risks and coming up with ways to tackle them, to mitigate their impacts. This usually involves supporting these communities to build up their asset base, such things as increasing income, diversifying the livelihoods to reduce risk, improving their health so they can work more or do not get into debt due to health bills. We also help them to spot crises as early as possible so that they can act quickly to decrease the negative impacts. Data regarding hunger in fragile states is often incomplete or missing. In these situations, how can we follow up on the progress of the SDGs and identify regions where assistance is most needed? Given all that I have said about the weakness of state capacity, this is a real challenge. 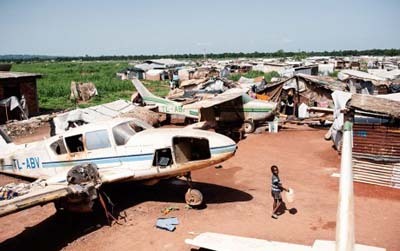 The key UN agencies support the government to try to collect the critical data. There is often more a focus on the national situation and not on regional disparities. In terms of food and nutrition security, international NGOs can support analysis of regional inequalities by documenting as much as they can in their areas of operation. They then use it for advocacy to generate debates at parliament and national level around regional inequalities and where greater investment is required. While Concern has done this successfully in places like Bangladesh and Kenya, it is much harder to do at national level advocacy in fragile states. The international experts on resilience and development monitoring and evaluation have talked about getting the balance right in terms of in-depth data collection and analysis and getting consistent basic data collected and used, calling this a balance of thick and thin data. I think that this is a practical approach. We INGOs collect a lot of data that we do not use very much so it seems to me that there are efficiencies to be found. What political changes would you like to see in the coming years at national and international level to contribute towards reaching zero hunger in fragile states? Globally, we have made significant progress on hunger since 1990 but we need to accelerate the progress in places where it has been possible to get political buy in. In fragile states, we need to ensure that leadership continues across electoral cycles, neutralise party politics and continue to build delivery capacity of different ministries. In the states that are failing or extremely weak (fragile), then we need to change the game almost completely. We need to build up stronger community groups and social movements so that they can negotiate governmental safety nets as well as with the private sector to ensure continued access to food. One critical problem is that of conflict and this remains one of the most difficult challenges facing humanity. We need a step change in political commitments to prevention and early resolution of major conflict, using mechanisms like The Elders and reviewing the veto power at the UN Security Council. Where extreme human rights abuses occur in civil wars, we have to find new processes that get around the shield of national sovereignty or at least balance national sovereignty with respect for international humanitarian law. There is no easy answer here but we need international leadership in this space. An invitation only event - free entrance. A new UNICEF report shows that 2.6 million children have sunk below the poverty line in the worlds most affluent countries since 2008, bringing the total number of children in the developed world living in poverty to an estimated 76.5 million. 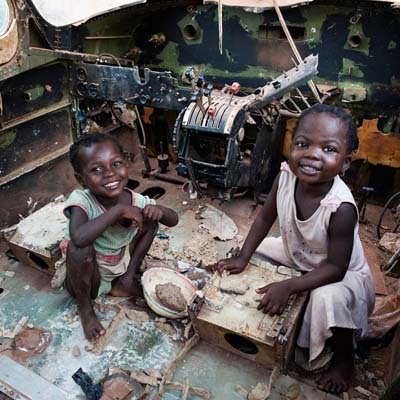 Innocenti Report Card 12, Children of the Recession: The impact of the economic crisis on child well-being in rich countries, ranks 41 countries in the OECD and the European Union according to whether levels of child poverty have increased or decreased since 2008. It also tracks the proportion of 15-24 year-olds who are not in education, employment or training (NEET). The report includes Gallup World Poll data on peoples perceptions of their economic status and hopes for the future since the recession began. While early stimulus programmes in some countries were effective in protecting children, by 2010 a majority of countries pivoted sharply from budget stimulus to budget cuts, with negative impact on children, particularly in the Mediterranean region. Many affluent countries have suffered a great leap backwards in terms of household income, and the impact on children will have long-lasting repercussions for them and their communities, said Jeffrey OMalley, UNICEFs Head of Global Policy and Strategy. UNICEF research shows that the strength of social protection policies was a decisive factor in poverty prevention. All countries need strong social safety nets to protect children in bad times and in good  and wealthy countries should lead by example, explicitly committing to eradicate child poverty, developing policies to offset economic downturns, and making child well-being a top priority, OMalley said. In 23 of the 41 countries analysed, child poverty has increased since 2008. In Ireland, Croatia, Latvia, Greece and Iceland, rates rose by over 50 per cent. In Greece in 2012 median household incomes for families with children sank to 1998 levels  the equivalent of a loss of 14 years of income progress. By this measure Ireland, Luxembourg and Spain lost a decade; Iceland lost 9 years; and Italy, Hungary and Portugal lost 8. The recession has hit 15-24 year olds especially hard, with the number of NEETs rising dramatically in many countries. In the European Union 7.5 million young people (almost equivalent to the population of Switzerland) were classified as NEET in 2013. In 18 countries child poverty actually fell, sometimes markedly. Australia, Chile, Finland, Norway, Poland and the Slovak Republic reduced levels by around 30 per cent. Significantly, the report found that the social policy responses of countries with similar economic circumstances varied markedly with differing impacts on children, OMalley said. The transport industry is undergoing a major shift. Digitization and information enablement quickly breaks down the old foundations for success but at the same time creates new opportunities. All players in the industry need to fundamentally change perspective to stay relevant and to truly capture the potential of connecting to the crowd. Lets Do It! World is a civic-led mass movement that began in Estonia in 2008 when 50,000 people united together to clean up the entire country in just five hours. Since then, Lets Do It! has spread this model - one country in one day - around the world. To date, 113 countries and over 16 million people have joined us to clean up illegal waste. Wim Korver (Goudappel Coffeng); T. van Huffelen (Goudappel Coffeng); U.J. Becker (TU Dresden); V. Schemien (TU Dresden); H. Lindblom (WSP Sweden); E. Ericsson (WSP Sweden); J. Malasek (IBDiM). 2.1. Consider which arguments for sustainable mobility measures will convince politicians of the benefits and identify windows of opportunity in the political cycle to promote sustainable mobility measures. 2.2. Connect your project on sustainable mobility with the aspects that are important for the city more generally, such as attractiveness, social inclusion, competition with other cities, public image. This may also help to answer the question of how to get political support, if it does not already exist. a. Align your policy with broader aims and priorities at all government levels (EU, national and regional level), seizing opportunities for mutually beneficial actions, adding to political credibility and weight. b. Supersede geographical boundaries of neighbouring authorities, to define the most suitable scope of the policy, to address optimally multimodal regional travelling. c. Foster inter-disciplinary collaboration and integration between departments within the municipal administration. Comprehensive plans that include mobility, sustainable development and urban planning provide windows of opportunity to integrate new ideas in the policy agenda. They also encourage collaboration to create a cohesive and balanced package of policy measures that take environmental, social and economic challenges into account. 2.4. 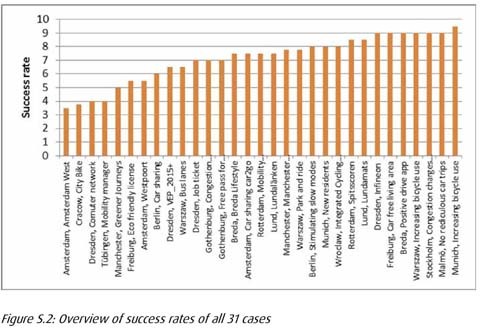 Establish common ground by showing how success in one policy area (e.g. environment) is based on active measures in other areas (e.g. transport planning). 2.5. Look for innovate structures for delivering projects, for example by giving responsibility for project delivery to organisations outside the municipality. 2.6. Get a basic decision to support the project at a high political level, in order to avoid the project's priority dropping due to other conflicting priorities in the current workload. 2.7. Slow the process down, when current politics do not align with sustainable mobility plans, and speed up decision making and subsequent implementation process when politics align with sustainable mobility plans. 3.1. 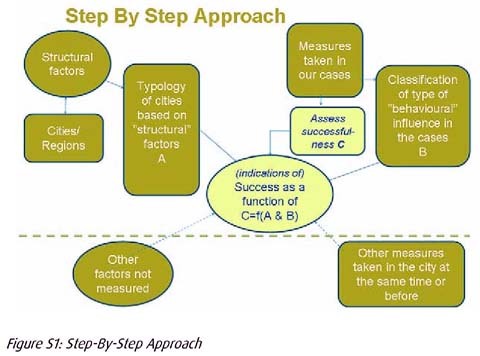 Since there is no such thing as 'the most effective measure', consider a broad range of measures looking at all modes and analyse their impact on mobility patterns as well as on related economic, social and environmental concerns. 3.2. Develop complementary and mutually reinforcing packages of measures. Pair 'push' measures with 'pull' measures, e.g. pair congestion charging with increased access to and incentives for public transport use or pair speed limits with supporting road design. Due to the more comprehensive and holistic nature of sustainable mobility strategies, policy integration is the most important recommendation. Cases such those of Freiburg Vauban, Tuebingen French Quarter and Malmö's Västra Hamnen, show that transport objectives are only a part of a much broader framework that seeks to deliver sustainable living and high quality of life in an entire city neighbourhood. 3.3. Use international knowledge on urban and transport planning integration. This issue is complex, but can give major results over time. There is detailed international expertise on how to reduce traffic generation by the right mix of measures (see for example www.eltis.org, www.civitas.eu and www.transportresearch.info/web). 3.4. Use windows of opportunities such as those provided by brownfield (re)development of urban areas as a consequence of economic changes or special funding programs for establishing structures for sustainable transport in urban development. 3.5. Consider discussions on issues such as environmental standards for air quality, traffic noise, road safety and the need for street redesign as door-openers for the introduction of new regulations (speed limits, parking restrictions and access restrictions). 3.6. Overcome potential barriers of the legal framework by introducing temporary local exceptions in regulation, with control and monitoring at a higher level of government. This will inspire and encourage the supporters of change. Its temporary character will reduce the resistance of opponents. In a parallel process one can involve national lobby associations that have an interest in campaigning for long term change of the legal framework. 3.7. Support new regulation with good street design and high quality public spaces to build intrinsic motivation for achieving the desired driving behaviour (e.g. for driving at low speed) and apply broad public communication to build acceptance. 3.8. Look for windows of opportunity to decide on new infrastructure, linked to relevant themes and solving problems of the city. 3.9. Use infrastructure (street) redesign, for example to accommodate special public transport lanes, to create a physical basis for a structural change in modal split. 3.10. Look for co-funding/co-alignment opportunities from/with other sources, like construction permits to open up new land use possibilities, utility renewal, the introduction of barrier free bus stops, the replacements of out-of-date traffic light systems, with support from the local business community and civil society. 3.11. Campaigns: Analyse the scale of the problem and be sure that the campaign is a tool to solve the identified problem. Carefully identify and describe in detail the target group for such campaigns. This is vital to tailor the message of the campaign, and identify the best channel for delivery. Take the interests of the stakeholders and end users into account. 3.12. Introducing new services: Set up an adequate (special purpose) organization, preferably independent of the authorities employing skilled professionals, able to involve other stakeholders and citizens and building their enthusiasm to act. Give freedom to the stakeholders (businesses) on the choice of measures to be taken. Try to get close to the end user. Don't wait, start now, learning along the way. 3.13. 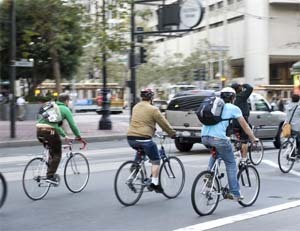 Provide real alternative travel options when trying to move away from transportation by car. Link the travel options to flexible work condition and think of economic incentives like setting tax and reimbursement structures for travel costs in such a way that sustainable options are attractive instead of a punishment. ELTIS - the European Local Transport Information Service - is a an initiative of the European Commission's Directorate General for Energy and Transport (now split into Energy and Mobility and Transport). ELTIS enables the exchange of information and experience in the field of urban transport and mobility. An important resource is the ELTIS website: www.eltis.org. If you are working for local and regional governments or organizations and you are looking for ways to make people's mobility behaviour more sustainable, "Stepping Stones" can be of great help to you. On the website of Era-net transport research findings and recommendations in this field are shared. Go to www.transport-era.net. Visions of the Future is a collection of stories and essays including Nebula and Hugo award-winning works. In this anthology, youll find stories and essays about artificial intelligence, androids, faster-than-light travel, and the extension of human life. Youll read about the future of human institutions and culture. But these literary works are more than just a reprisal of the classical elements of science fiction and futurism. At their core, each of these pieces has one consistent, repeated theme: us. Other Lifeboat Foundation books include The Human Race to the Future: What Could Happen - and What to Do and Prospects for Human Survival. The term was coined by Hans Jenny (1904-1972), a Swiss follower of the philosophical school known as anthroposophy. Typically the surface of a plate, diaphragm or membrane is vibrated, and regions of maximum and minimum displacement are made visible in a thin coating of particles, paste or liquid. Different patterns emerge in the excitatory medium depending on the geometry of the plate and the driving frequency. Nigel Stanford: In 1999 I watched a documentary on 'Synesthesia' - a disorder that effects the audio and visual functions of the brain. People with the disorder hear a sound when they see bright colors, or see a color when they hear various sounds. I don't have it (I don't think), but I have always felt that bass frequencies are red, and treble frequencies are white. This got me thinking that it would be cool to make a music video where every time a sound plays, you see a corresponding visual element. Many years later, I saw some videos about Cymatics - the science of visualizing audio frequencies, and the idea for the video was born. 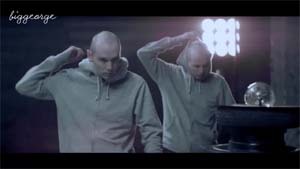 In 2013, I approached my friend Shahir Daud, a talented film director working in New York, and asked him if he was interested in collaborating on the video with me. I don't think he really knew what I was talking about, but happily he said yes, and in July 2013 we started researching the experiments and buying bits and pieces online. Christopher Barnatt has been a professional futurist for over 20 years. He has published eleven books and numerous articles, with over 200 media contributions to broadcast, print and online programmes and publications. He runs the websites ExplainingTheFuture.com and ExplainingComputers.com, as well as associated YouTube channels that have received over 19 million video views. 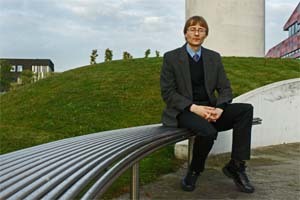 For 25 years Christopher lectured in computing and future studies in Nottingham University Business School, where he spent seven years as Director of Undergraduate Programmes. As a keynote speaker, he now delivers presentations for a wide range of organizations in sectors including financial services, healthcare and the arts. Christopher: "Due to Peak Oil and wider resource depletion, within a few decades it is going to be impossible to trade globally in most foods and many basic goods. We therefore need to start preparing for a world focused far more on localization and far less on globalization." "The 'net energy' output of all alternative energy sources is far lower than that of petroleum. This means that, while wind, wave and solar technologies may be able to power the world of tomorrow, they will not be able to fuel a clone of today. We will therefore soon have to start investing in low-power devices, as well as learning to live in new, more energy efficient ways." "Today, far too many things get thrown away only a few months or years after they have been purchased. In part, this is because so many products cannot be repaired. In the face of resource depletion, we therefore need to return to a bygone age in which designers and manufacturers sell us items that we can maintain and evolve for long periods." Copyright © 2002-2016, Club of Amsterdam. All rights reserved.